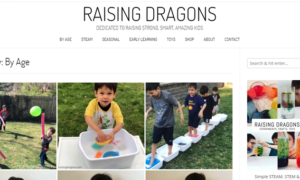 Raising Dragons is a great website to find creative ideas to spice up therapy sessions, group activities, or social skills groups. While not specifically designed for the clinic, activities can be easily tailored to address therapeutic goals. Ideas are organized by age group, topic, season, and more. Share this resource with parents, teachers, and caregivers as well!